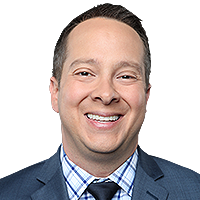 Matt 'Money' Smith serves as a fantasy analyst alongside Michael Fabiano, Adam Rank, Marcus Grant and Akbar Gbajabiamila on NFL Fantasy Live. He is also part of the NFL.com coverage of the NFL Draft, NFL Scouting Combine and Super Bowl. Away from his NFL Network duties, Smith can be heard on the popular Los Angeles based radio program 'Petros and Money', currently in its 10th broadcast year. For the past 7 years Matt has been a play-by-play voice for Compass Media Networks coverage of NCAA Basketball, NCAA Football, and NFL Football, including 5 straight years of "calling" the Big 10 Basketball Tournament. He has also been a television play-by-play talent for Pac-12 Network and NFL on Fox. From 2005-2009, Smith hosted the KLAC Los Angeles Lakers pre, half and post-game show. From 1995-2005 he was part of the National Association of Broadcasters Hall of Fame morning program 'Kevin and Bean' for KROQ Radio in Los Angeles. A native of Hammond, IN Smith graduated from Pepperdine University with degrees in political science and speech communication. Michael Fabiano, the senior fantasy football analyst with NFL Media, provides almost two decades of fantasy football experience. He appears on NFL Fantasy Live on NFL Network with Marcus Grant, Adam Rank, Akbar Gbajabiamila, Matt "Money" Smith and James Koh. The show also appears on NFL.com through NFL NOW. Fabiano is also on the NFL Fantasy Live weekly podcast, in addition to being a frequent contributor for Westwood One's fantasy football radio show, not to mention several other radio programs across the country. Prior to his time with NFL Network and NFL.com, Fabiano spent time as a senior fantasy writer for The NFL Today on CBS, becoming the first fantasy sports analyst to ever appear on one of the four major networks. During his time with CBS, Fabiano also hosted both fantasy and non-fantasy radio and video shows for CBS Sports.com. Finally, Fabiano has created several celebrity fantasy football leagues that have included the likes of the Bella Twins, Kate Upton, Jerry O'Connell and Mike "The Miz" Mizanin, among several others. An award-winning fantasy football columnist, Fabiano is a member of the Fantasy Sports Trade Association Hall of Fame. Adam Rank was painfully mediocre in sports growing up. Though he tried hard (allegedly), he spent most of his time on the bench. Which gave him the perfect avenue and location to comment on sports instead of excelling in them. This didn't always make him very popular with people. In fact, instead of hitting the parties with the rest of his high school mates, Adam spent most of his time writing emails to local sports columnists, playing video games and reading comic books. And not cool comic books like "Batman" and other DC titles; dude read "Archie" comics. This is probably why he was voted most likely to never have a girlfriend by his classmates at Corona High School. Rank attended Cal State Fullerton and at the behest of Titans baseball coach Augie Garrido, got off the baseball field and into the press box where he might actually do some good. And surprisingly, he wasn't terrible. He wrote a "wildly" popular column and eventually parlayed a stringer gig at the "Los Angeles Times" into an internship with NFL Publishing. Rank would intern at NFL Publishing for three summers and when he finally graduated from school (in the time it would take most people to become a doctor), he just kept showing up for work. That was it. Internship was over, but Rank showed up for work the following Monday. At some point, the powers that be relented and just gave him a job. Seriously, Rank pulled the Costanza with the NFL and has never looked back. Since that time, Rank has worked for NFL.com and NFL Network. He's written columns for the site (some great, some meh) and has appeared on TV shows like NFL Fantasy Live, NFL Total Access and NFL HQ. 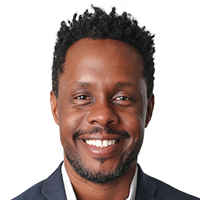 In fact, Rank is one of the OG players from NFL Fantasy Live, where he's become sort of the Tim Meadows of the show; the guy who just would never go away. And then that would probably make "That Helps No One" his version of "The Lady's Man" or something. So a movie must be in the works? Rank also became the host of EA Sports Madden NFL Live in 2015, showing that all of those lonely nights playing video games didn't go for naught. And now, well, he's still unpopular with his high school friends, though it won't stop them from hitting him up for fantasy advice on Facebook and Twitter. But he does read cooler comic books and has a child now. So it hasn't all been a total waste. Marcas Grant joined the NFL in 2011 as an editor for the fantasy football team. 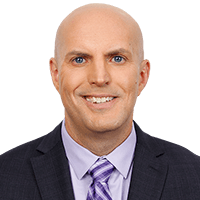 Since joining the league, his role has expanded to include appearances on "NFL Fantasy LIVE" as well as the Fantasy LIVE podcast -- not to mention a handful of analysis and opinion columns on NFL.com. 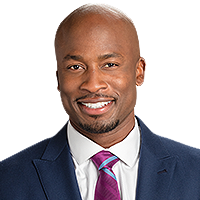 Akbar Gbajabiamila serves as a fantasy expert and analyst on NFL Fantasy Live with NFL Media. Akbar is also the host of NBC's heart-racing obstacle course competition series American Ninja Warrior, as well as Esquire Networks' spin-off Team Ninja Warrior. His ability to connect with everyone from viewers to contestants to professional athletes has made him one of the most relatable television personalities in sports and entertainment. The Southern California native played five-years in the NFL as a linebacker and defensive end with the Oakland Raiders, San Diego Chargers and Miami Dolphins before retiring in 2008. Akbar played college football for San Diego State University after graduating from Crenshaw High School in Los Angeles. Throughout his NFL career, Gbajabiamila had an interest in broadcasting, and in 2005 he was selected as one of the NFL's first athletes to attend their Broadcast Boot Camp, an intense workshop aimed at training athletes for potential careers in broadcasting and journalism. Gbajabiamila older brother Kabeer, played nine seasons with the Green Bay Packers. Kabeer is the Packers all-time sack leader and Packers Hall of Famer. 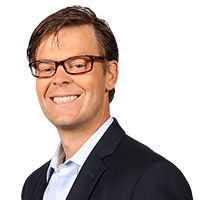 Marc Istook joined NFL Media in 2014 with the launch of NFL NOW. He can be seen primarily hosting content for this NFL digital offering. Prior to his full arrival at NFL Media, he served as a fill-in Host for NFL AM. In all, he has spent more than 15 years working in front of and behind the camera, covering sports, news and entertainment and hosting shows for CNN, TV Guide, Food Network, BBC and others. A native Texan, his TV career began while still in college as a student at Texas Christian University. A chance opportunity running ESPN's "clock and score" graphic during a TCU game turned into a freelance job that took him around the country working on college football, basketball, NHL and MLB games - basically, a dream come true for a 21-year-old sports fan! 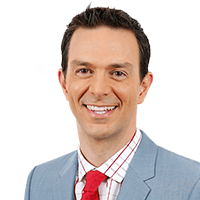 After graduating in 1998 with a degree in Radio/TV/Film (Journalism), Marc landed as the weekend sportscaster at KTEN, an NBC affiliate north of Dallas. There his work was recognized by the Texas Associated Press Broadcasters and Oklahoma Association of Broadcasters. After moving to Los Angeles in 2001, he continued to cover local sports and news before hosting his first national network show, "Gotta Get It" for the Food Network. Afterward, he helped launch the daily entertainment news show, "Hollywood 411" as a correspondent for the TV Guide Network. Since then, Marc has hosted movie premieres for Yahoo!, a reality show for the Speed Channel, covered entertainment news for CNN, tech pieces for the BBC, and filled in on the NFL Network's morning show, NFL AM. Marc couldn't be more excited to be back covering sports full time on NFL NOW. And when he's not watching games or prepping stories for air, he's an avid traveler, photographer, and fan of TCU football. 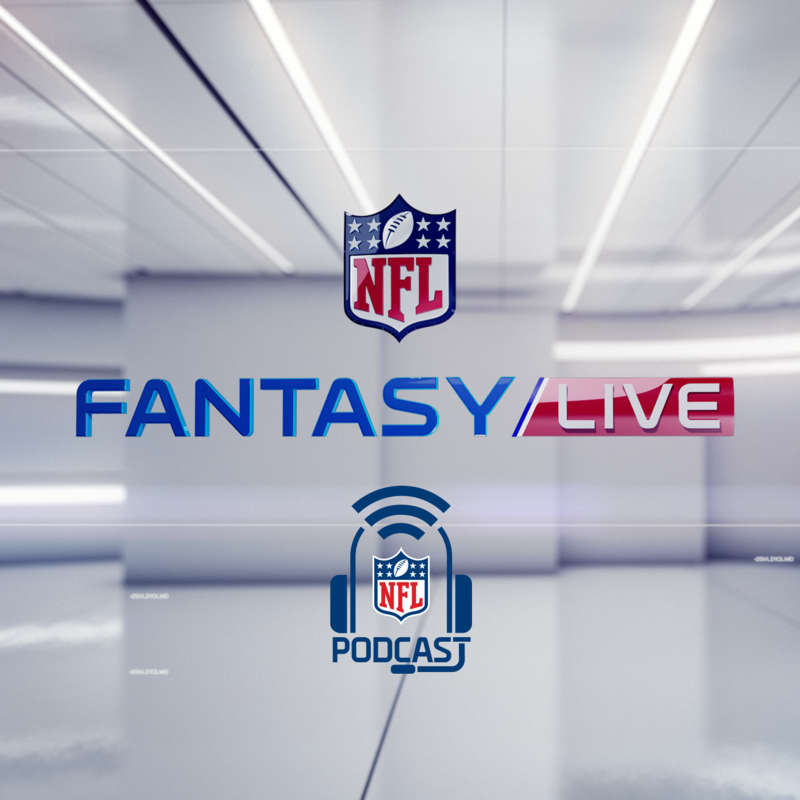 Hosts Matt "Money" Smith and James Koh are joined by Michael Fabiano and our NFL.com fantasy experts discuss all the latest news, injuries, matchups and their fantasy impact. Get all the tools you need to dominate your fantasy matchup with the insiders' expertise.